If ever a country deserved a helping hand it is Vietnam. Blighted by a turbulent and tragic past, this Southeast Asian gem is fast on the road to recovery and our Vietnam volunteers are doing their best. Every year hundreds of volunteers join our projects in schools, hospitals, monasteries and orphanages across Hanoi, Vietnam, making a real and lasting difference to the lives of the country’s most disadvantaged people. Vietnam’s breathtaking scenery, rich culture, incredible food and welcoming people are no secret. Millions of tourists flock here each year. However, volunteering in Vietnam provides a completely different take on how life here really works. Volunteers eat, sleep and work amongst Vietnamese nationals, in local projects designed help the most under-privileged in society. And while some of our projects can be challenging, the positive impact our volunteers make is something that stays with them for the rest of their lives. Many return year after year. Our Vietnam volunteer projects offer a variety of options to the conscientious traveller who wants to take their Vietnam experience to the next level. All the projects have been in operation for years, and have enjoyed the benefit of hundreds of Vietnamese and foreign volunteers from around the world. 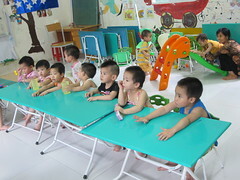 All of our Vietnam volunteer projects are focused on working for and with children. Projects range from working with sick kids in hospitals, looking after children in Buddhist temples, to providing much needed non-formal education to Hanoi’s disadvantaged youth. Volunteers will be provided with full orientation and assistance throughout the project. Vietnam is fast emerging from a turbulent past and there is a very real sense that now is the time there is now a once-in-a-lifetime opportunity to build a better future its people. 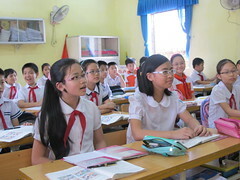 Participating in one of our Vietnam volunteer projects is the perfect way to play your part. Helping to bring a smile to a sick child between treatments at a children’s hospital is one of the most selfless, altruistic things for any person to do anywhere. 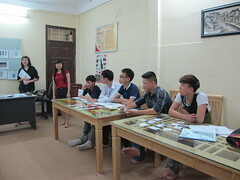 Volunteers in this project collaborate with other foreign and Vietnamese volunteers at one of Hanoi’s largest children’s hospital. Vietnam has undergone rapid development over the past decade, but the country still lags behind many of its South-East Asian neighbors. There are many ways that volunteers can get involved and make a real and profound difference, not least through lending a hand with projects that care for mentally and physically disabled children. The stigma attached to mental illness and physical deformity is a problem all over the world, but its repercussions are particularly strong in Vietnam. There are relatively few programs in place to care for people suffering from development illnesses such as cerebral palsy, autism, Down syndrome and Japanese encephalitis. Those programs that are in place are too often under-supported.